As we arrived at the Methodios Retreat Center, the morning had been filled with heavy rain, but the sun was beginning to peek through the clouds and creating amazing light. It was warmer and more humid than expected for an October weekend. 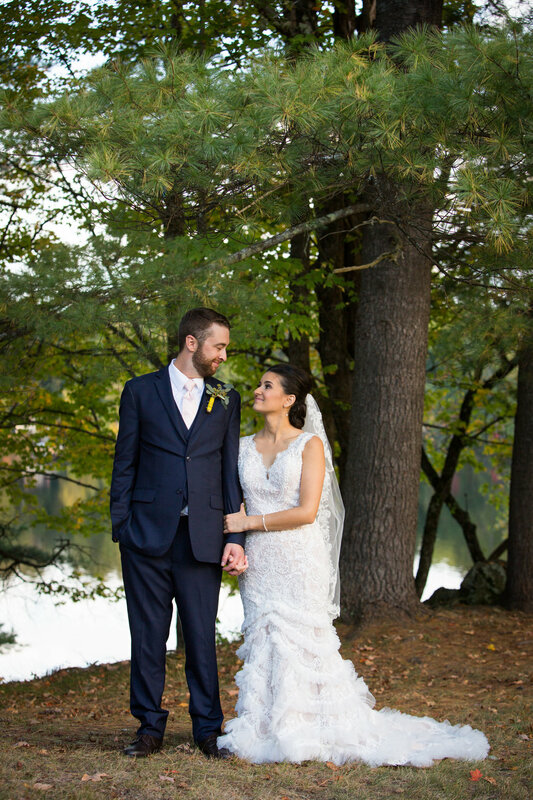 The foliage was gorgeous throughout the retreat's property and we immediately loved the area. We drove up to the center where Georgia and her sisters were getting ready. We headed up stairs to the Maine Wing where Georgia was getting her hair done and her sisters organized last minute arrangements. They had great operation tactics for getting things done, including walkie-talkies, lists, and of course cell phones to ensure the day went flawlessly! 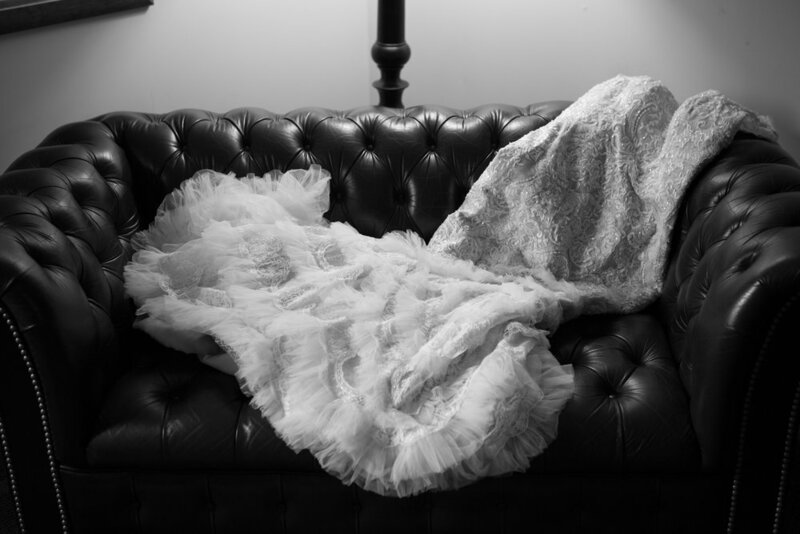 We collected Georgia's dress, the rings, her shoes, her veil and jewelry. 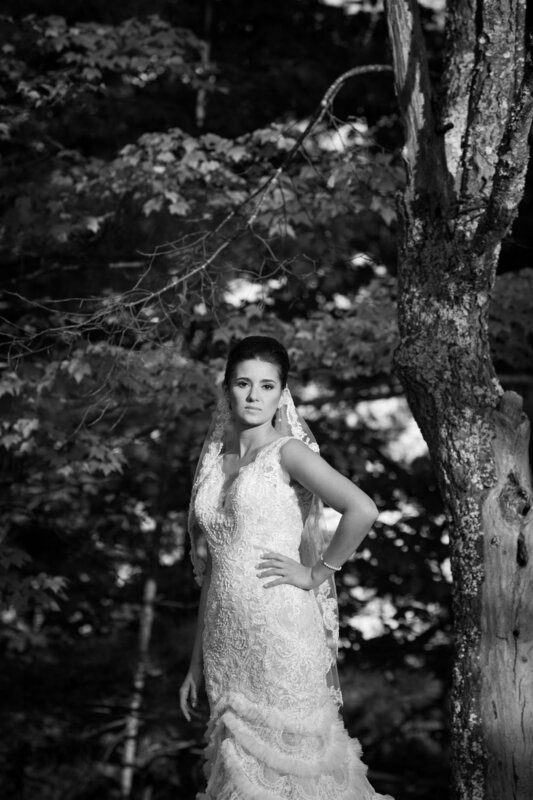 We headed down the hall with strict orders not to let anyone sneak a peek at her dress. We made quick use of the library. There was a marvelous leather couch that we put in the spotlight right away draping her dress at every angle. We set up the jewels inside beautiful thick paged books of Greek History and stories. Right away we noticed little gems sewed into Georgia's dress...the evil eye- one in the front and one in the back of her dress. This was for protection against evil forces. 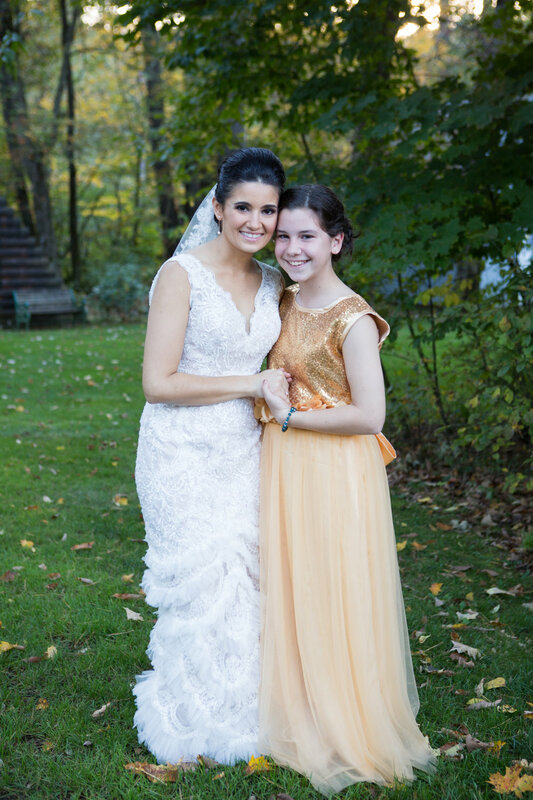 We were blown away by her gown & all agreed it was one of our favorites from the entire season! Everything was perfect- so elegant and timeless! We had heart eyes for it all! Michael and his gentlemen were in the basement of the retreat center gathering for a beer. They were joking with one another and enjoying the company while they collected their suits, ties and socks to begin getting ready. Right away we were met by the Koumbaro- who is the official sponsor for the wedding. This means he was chosen due to his good standing as a Greek Orthodox Christian to stand beside Michael. Vasilis was chosen as he has been like a brother to Georgia & his father is her godfather. He explained to me that he would need Georgia's shoes to follow up with a Greek tradition of presenting the bride her shoes on a silver platter. The shoe ceremony would take place right before the walk to the ceremony. This would be done by the best man Dan, Michael's brother, & Vasilis. The guy's sported boutonnieres with simple greenery delicately placed in 12 gauge shell casings to pins to their jackets. 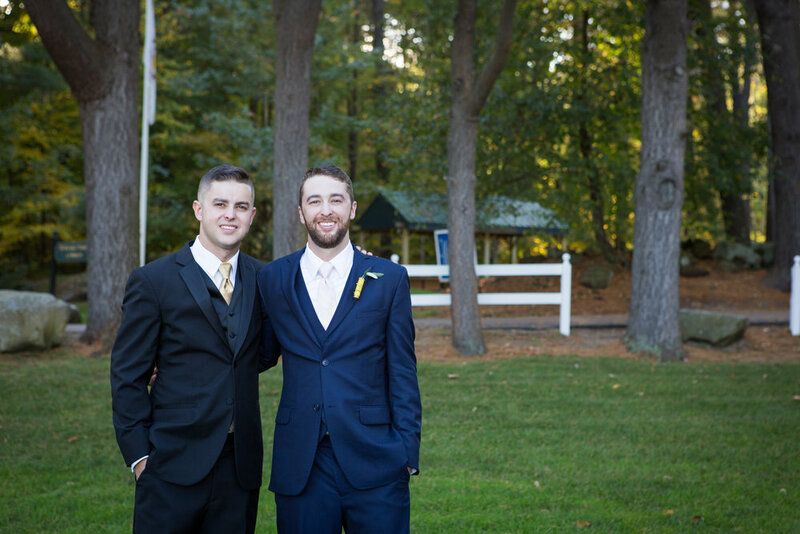 It was time for Michael and his groomsmen to get into their suits! They joked around as they did, laughing about tying ties, putting on the wrong suit jackets, and knocking over the boutonnieres. Everyone cheered and clapped Michael on the back once he placed on his finishing touches and was ready to go! Once they were completely ready we took them outside for formal photos- which turned out to be filled with laughter and fun! There were a few mishaps: a spilled boutonniere, an unzipped fly (which happened twice that day- but we won't mention names hehe), and helping a couple with what "right over left" meant. All in good fun! The whole group was willing to do anything for photos and they had fun doing it. They all managed to know exactly what to say to get everyone laughing-this made for easy photos. 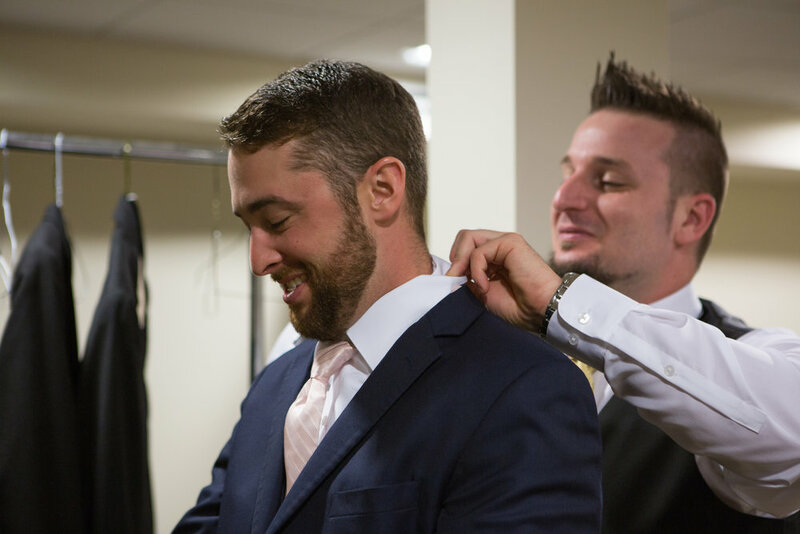 Once their formal photos were finished Michael and his groomsmen gathered everything they needed for the ceremony. Michael was confident and ready to head to the church, eager for Georgia to join him. Georgia's sisters were all wearing matching royal blue robes while they helped get things into place. Georgia had a silky pink robe on. Her make-up was complete and she looked flawless as she sat patiently while her hair was getting done. When it was time to get into her dress, Georgia's sisters, her mom and her brother all piled into the room to help her. They were all excited to see her in her dress! She got into it with the help of her mom, and once she was in -per Greek religion her brother, Pantely, zipped her up. Once her veil was tucked in, and her jewelry on, it was time for the shoe ceremony. 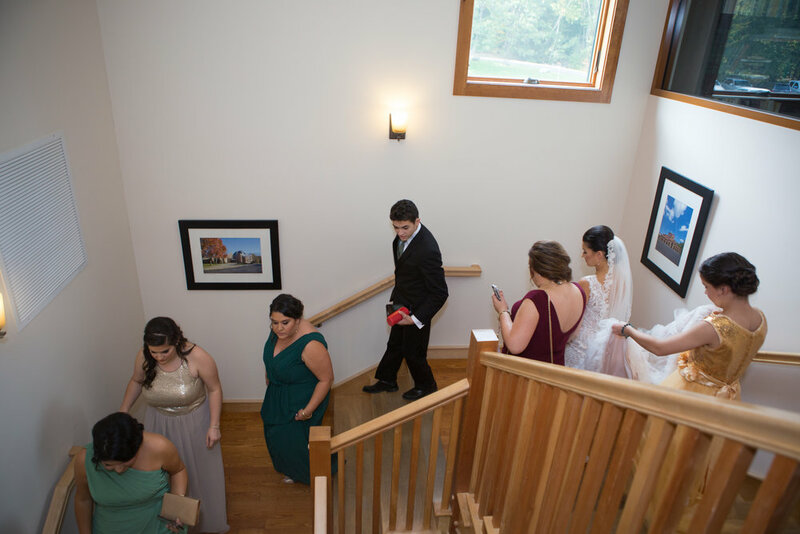 We all headed down to the first floor where Vasilis & Dan were waiting to present her with her shoes. The bride's family was also waiting downstairs to watch with pride & excitement. Georgia was dazzling- unable to really put into words how perfect of a bride she made. They all cheered and clapped as she made her way down the stairs. 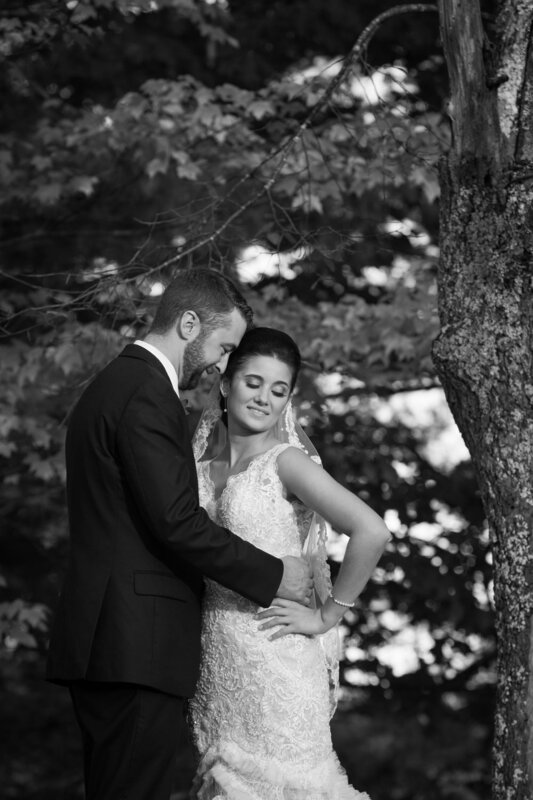 She sat on the piano bench with her family behind her as Vasilis and Dan presented to her the shoes. It turns out they were too big! Vasilis and Dan quickly added money to the shoes to help them fit-another Greek tradition. The whole day was filled with new wedding traditions we have never been a part of- we loved it! With her shoes now a tighter fit, Georgia and her family danced around the common room before they began their walk to the church. 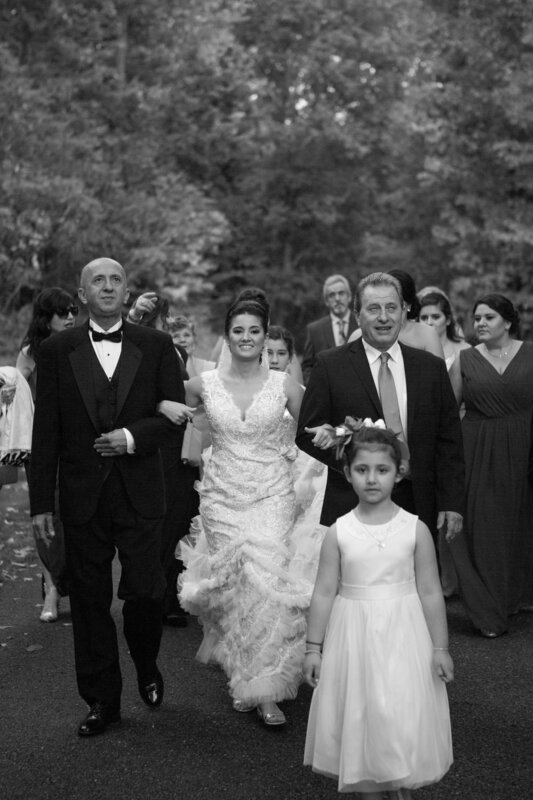 It is Greek tradition that the bride's family walks her to the church. Leading the way was Pantely and Amelia, her brother & the flower girl. 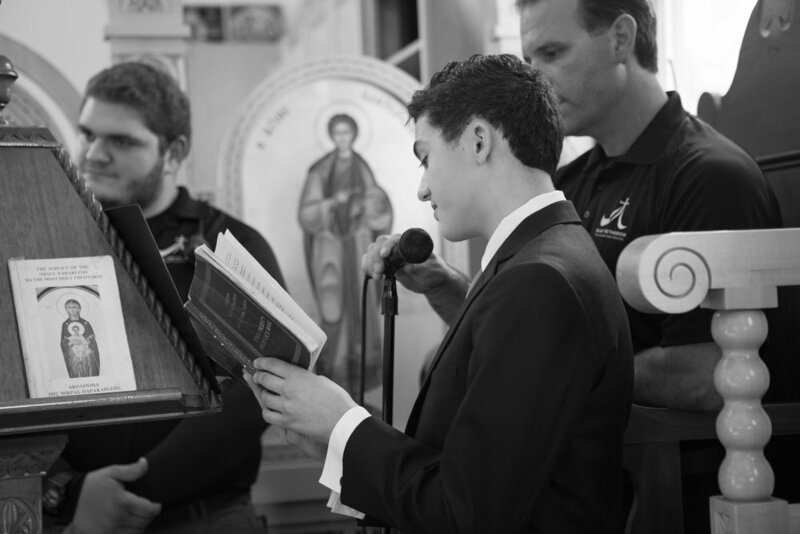 Pantely carried a speaker, leading the way, to play traditional Greek music as they made their way to the church. All the guests were outside awaiting the bride to join her groom. 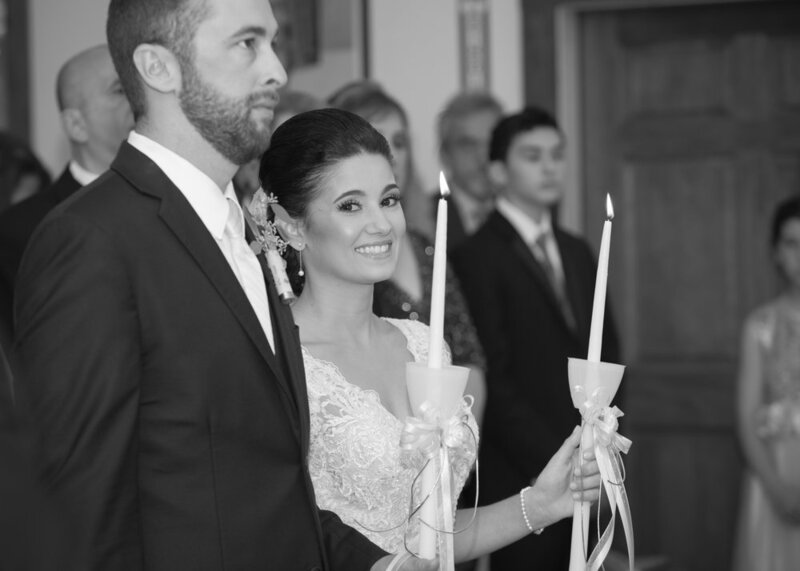 Michael's face lit up as he peeked out from behind the church column to see his bride walking toward him. 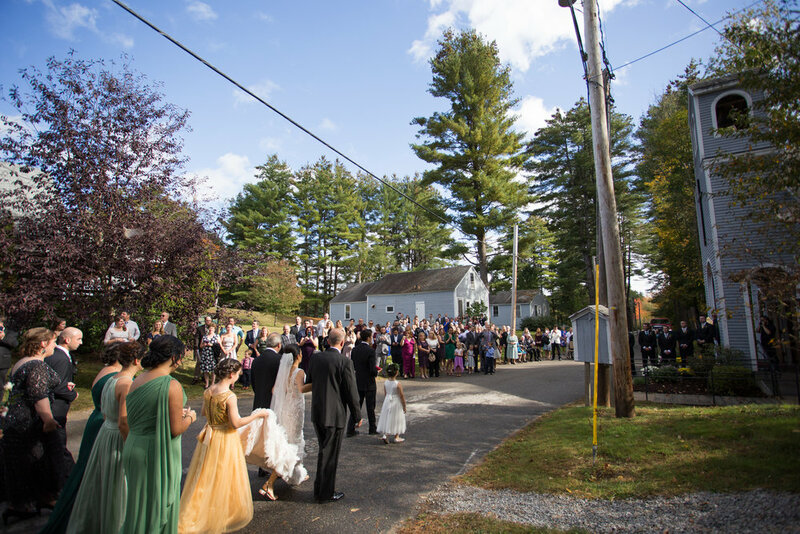 All the guests were smiling as the bride's family made their way closer and closer to the church. Once Georgia was in front of the church, Michael presented her with the floral bouquet and they proceeded into the church. Their families supporting them from behind and then guests followed. The small church was incredible, filled with vibrant colors and buzzing with excitement. Michael and Georgia were at the altar- with Vasilis standing beside them. The best man and groomsmen were seated along the wall on the groom's side while Georgia's sisters were on her side. Their parents were in the first row, beaming with pride. Father Paul Bebis officiated the ceremony. 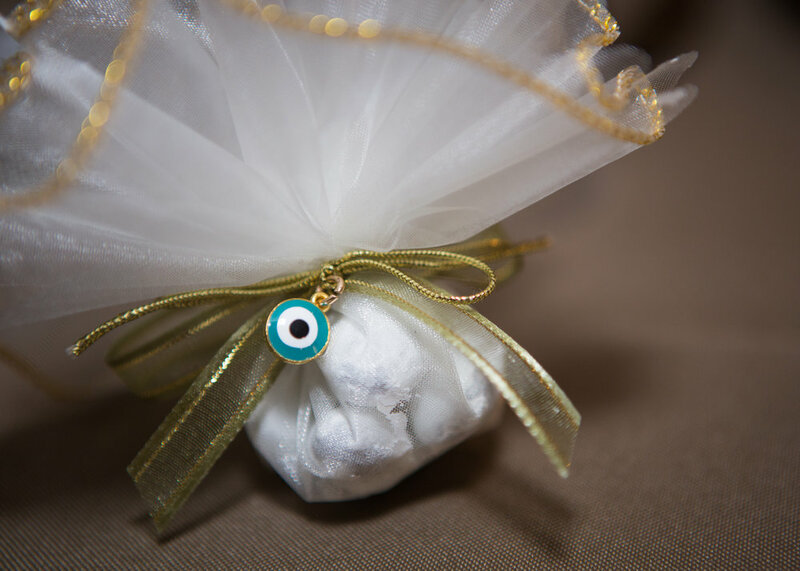 The ceremony was a traditional Greek Orthodox wedding. 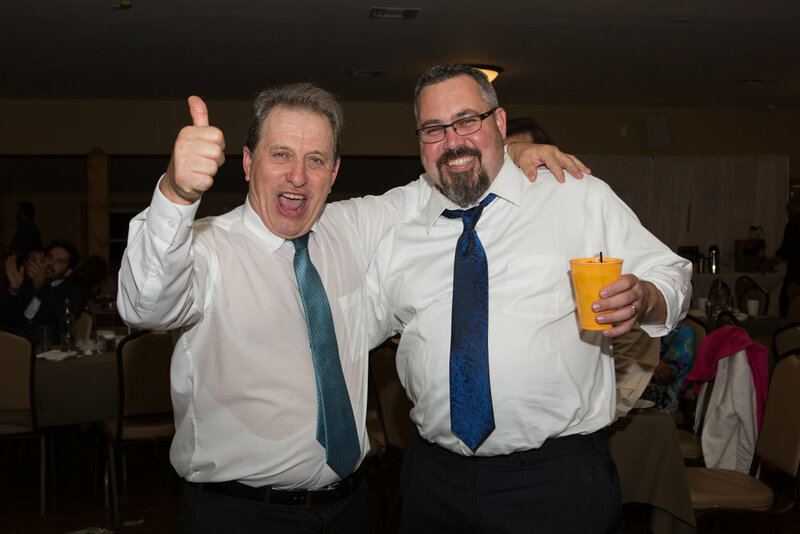 There were many different events happening during the ceremony that contributed to solidifying the marriage. One of them involving the rings. The Koumbaro, Vasilis, exchanges the rings three times. First he takes the bride's ring and places it on the groom's finger and then vice-versa. 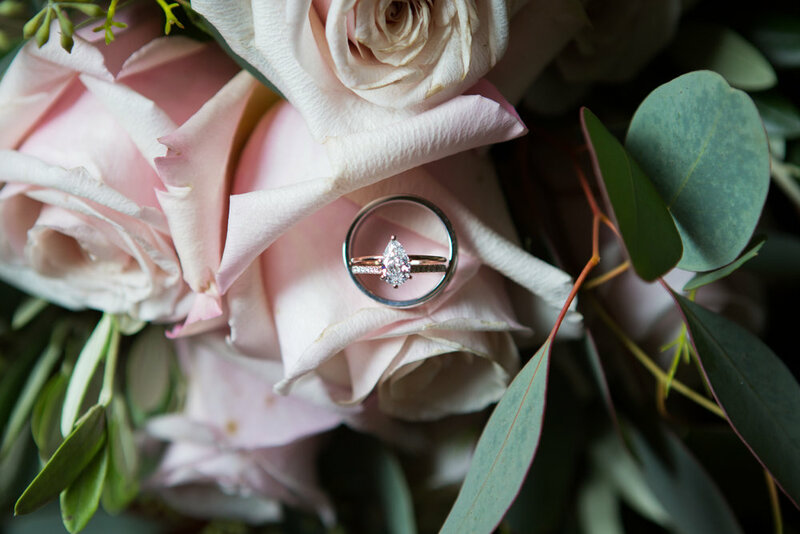 The exchanging of the rings signifies that the spouses in marriage will constantly complement each other and will be enriched by the union. Another event is The Crowning. The Stefana Headpieces (beautiful gold crowns) are joined together by a ribbon which symbolizes that the two are now one. The Koumbaro exchanges the crowns three times over the heads of the bride and groom as a witness to the sealing of the union. One of the last things to occur is the ceremonial walk. The priest led Georgia and Michael around the table that held the gospel and the cross. These steps emphasize the focus of their life's walk together. A surprise to Georgia was when her little brother, Pantely, read during the ceremony. She had no idea he was going to do that! Father Paul ended the ceremony with kind words, that marriage and this day were just the beginning. He said to compromise and always make an effort. Life is short, enjoy each other and enjoy life. He then announced Georgia and Michael as husband and wife and they shared their first kiss. They strolled up the aisle happier than ever! Georgia, Michael and their families stood on the church steps to greet each one of their guests. The bells tolled above them in celebration of their marriage. 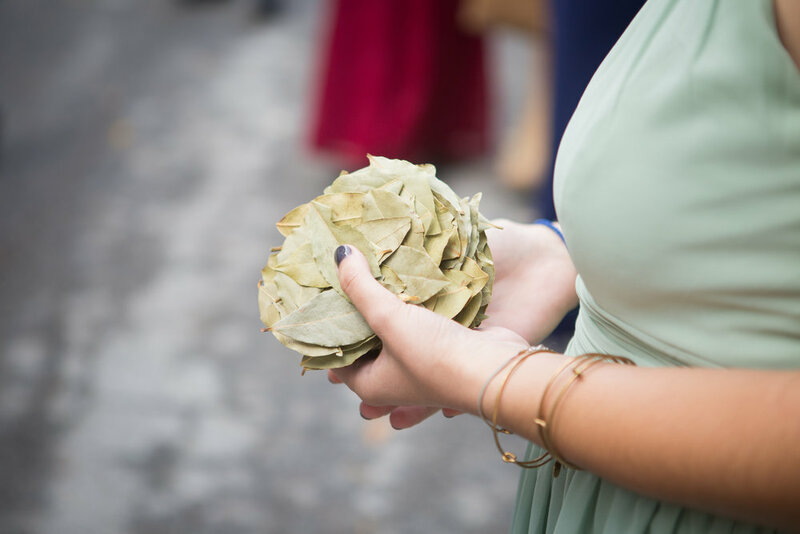 Bay leaves were passed around to toss at the couple as they descended the steps. As they held hands making their way through the tossing leaves they were all smiles! While we were waiting for the rest of the family to gather, Vasilis and Eleftheria, showed us the crowns. Georgia and Michael's crowns were jagged on the top and Vasilis pointed out that they were each jagged on one side with subtle faces to fit together when placed one atop the other. It was another special symbol of how well Georgia and Michael fit together. We were definitely eager to photograph them together to capture all the light and love they shared! We took the entire wedding party and both families down to the retreat's beach for family photos. Everyone was glowing with happiness and such a joy to photograph! What a loving and thankful family they represent- we felt at home with them and enjoyed our time. Once the family photos were complete they headed to the reception to join in the fun! 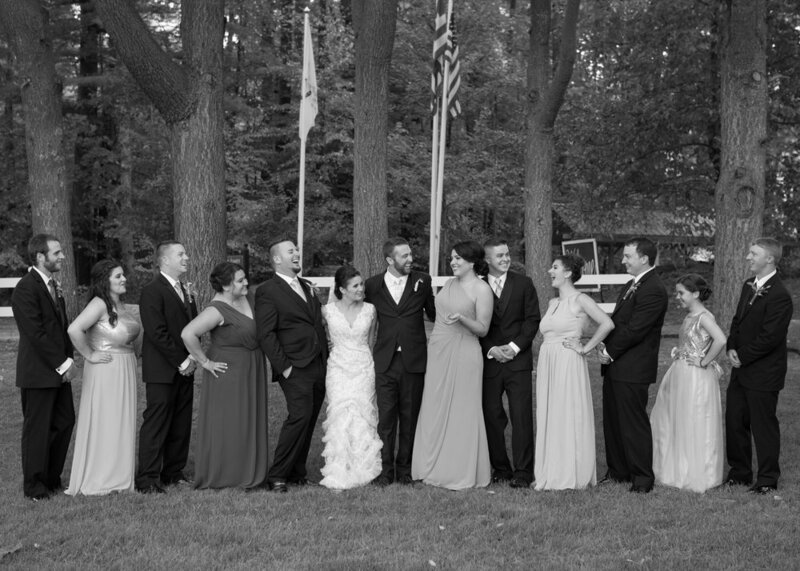 We continued photos with the wedding party by the church! The sisters were so much fun- it was clear they had a close sibling bond. Finally, it was time for formal photos alone with the newly married couple! We used the outside of the church as a photo set for a few before seeing the golden hour, and bringing Georgia and Michael into it. Up a small hill across from the church among the pine and light foliage, we captured Georgia and Michael in the most gorgeous light. They were breathtaking as they bathed in the golden sunshine. These two always photograph so natural together- they share a comfortable space next to each other. Their movements were fluid with each other, it was incredible to see two people so close. They were certainly an inspiration! The reception was held inside one of the halls on the retreat's property. The front porch was decorated with string lights with a very welcoming feel. There were Mr. and Mrs. tumblers at Georgia and Michael's seats waiting to be filled by the bride & groom! The room was abuzz waiting for the bride and groom- we were all excited to begin the party! The head table had a beautiful gold sequined table cloth lined with olive trees. On each plate sat a menu and where the food was coming from- a farm to table theme! Guests took their seats when the time came for the wedding party to be announced in, however when Georgia and Michael entered the room, everyone stood and cheered to welcome them. The couple went into their first dance. 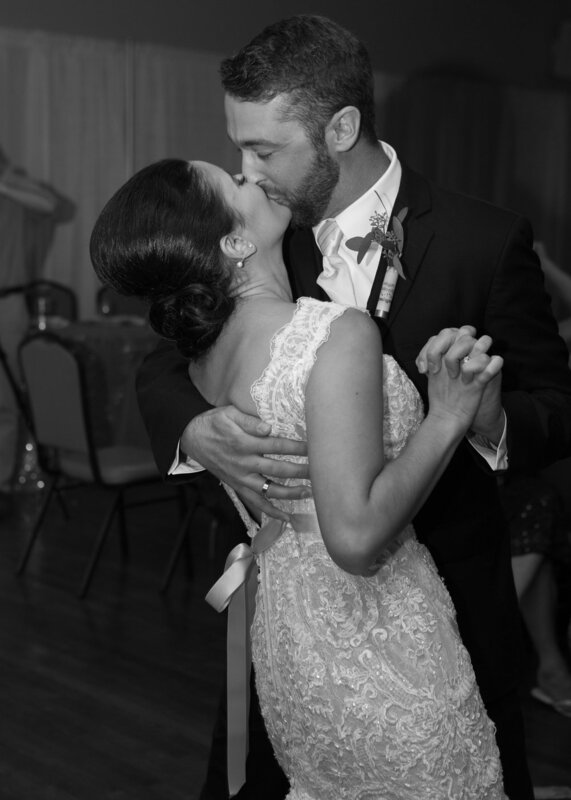 They were absolutely adorable as they wrapped their arms around each other to share their first dance as husband and wife. They danced like they were the only two people in the room. 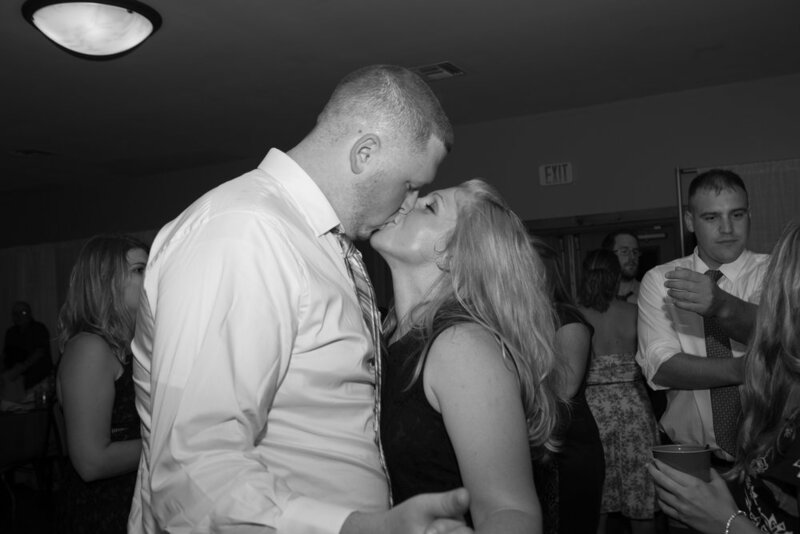 They sang the song lyrics to each other while they swayed together on the dance floor. Georgia's sisters watched the pair with adoration and love. While Georgia and Michael were radiating happiness on the dance floor money fell all over them as Georgia's godfather and Vasilis poured money over them -another Greek tradition! The song came to an end and Michael dipped Georgia and kissed her. This earned a loud cheer from everyone in the room. Michael and his mom, Sheila, stepped onto the dance floor next. They spoke animatedly to each other, laughing as they did so. 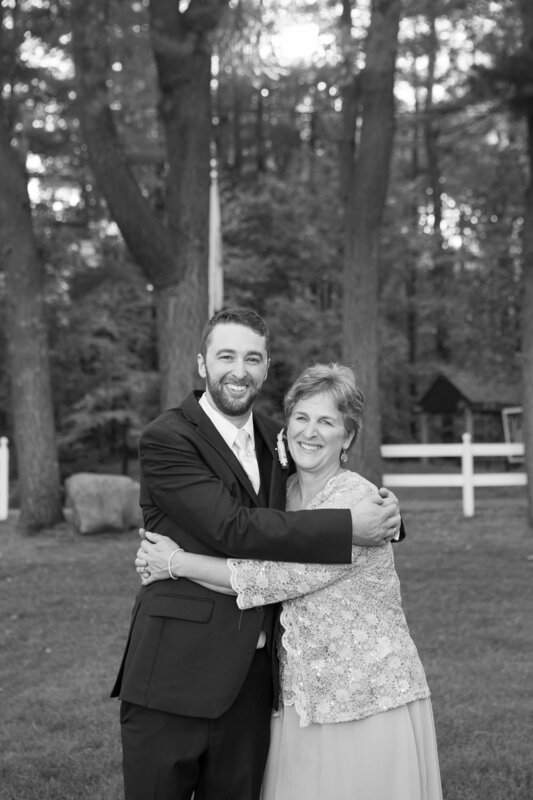 Shelia was so happy to be sharing this moment with her son. When the song ended, Michael wrapped her in a big hug! Next, it was time for Father Paul to bless the meal. The caterers brought out plates and plates piled high with delicious Greek food. We loved how the food was local and was meant to be shared as a large family meal serving one another. 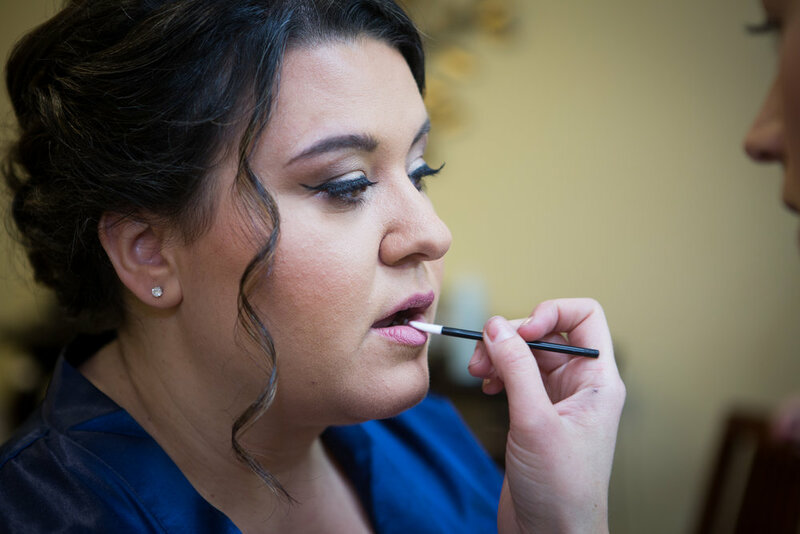 Georgia mentioned to us how important a big family meal is spent in her family and she wanted her wedding day to feel the same way. We felt honored to sit and share a meal with the now combined family and friends. When dinner began to wind down it was time for toasts. Vasilis was up first. He explained that his father was Georgia's god-father and therefore he was Georgia's god-brother. They grew up together in Greece, and once Vasilis came to the United States he heard all about a boy at school. It turns out that boy was Michael! He completed his speech by saying, he wished them a lifetime of love, happiness and health. Everyone toasted their glasses filled with Ouzo! The groom's older sister, Kristina, was up next. She told everyone a few embarrassing childhood stories, earning full belly laughs from guests. Kristina shared her appreciation of Michael and what a fabulous uncle he is to her children. She confessed that she couldn't have found anyone better than Georgia for her brother. While Michael, Georgia and her family were visiting Greece, Kristina said she texted Michael everyday asking if he had proposed yet. And his response was, "do you know how hard it is to get alone time with this family?" Everyone burst out in laughter with understanding! How cute! She ended her toast by saying, the question everyone is going to ask you now isn't going to be, when are you getting married? 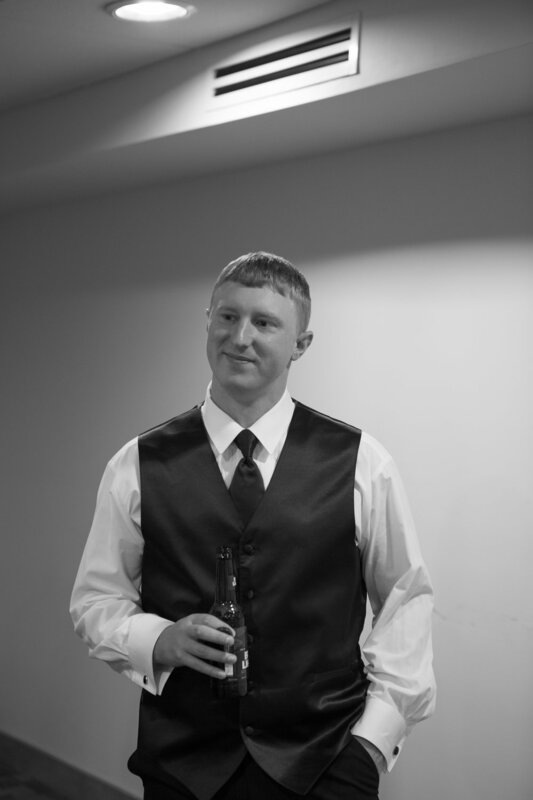 It's going to be, when are you having kids? Everyone laughed and clapped at that, while also giving the newlyweds a knowing look. Michael's best man and younger brother, Daniel was last for speeches. 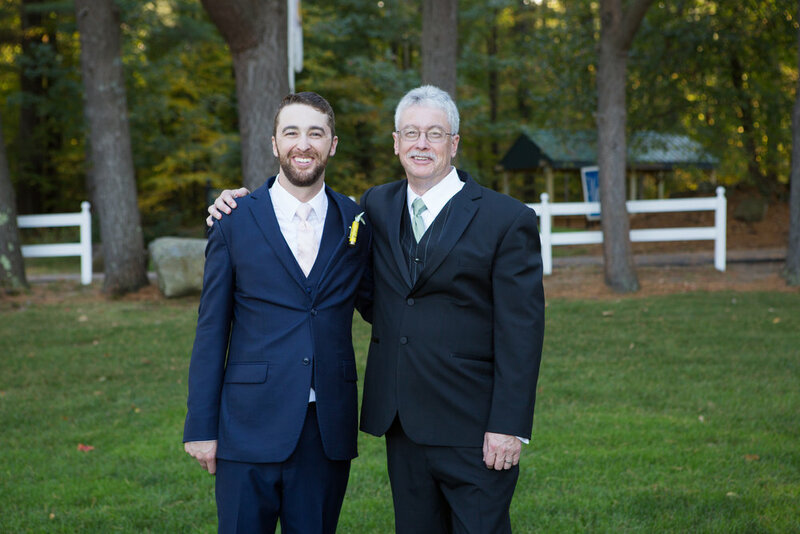 He joked that when he found out he had to give a speech he googled the 'perfect best man speech.' He said Georgia and Michael were a modern day Beauty and the Beast -because Georgia was so beautiful. This got a few chuckles and Michael a few slaps on the back. Daniel said he really liked Georgia because she always took his side- she nodded affectionately in agreement. He ended his speech officially welcoming Georgia to the family and with warning words to his brother, Mike, you better not screw this up. Everyone laughed with him as more shots of Ouzo were passed around and toasted to the couple. While everyone was finishing up dinners and replenishing their drinks, Michael and Georgia headed to their cake table! It was time to cut into this beautifully decorated cake! Once the newlyweds placed a perfectly cut piece to split- Georgia gave Michael a big smile & look as if to say- you better not ruin my make up- this made for the perfect photo!! 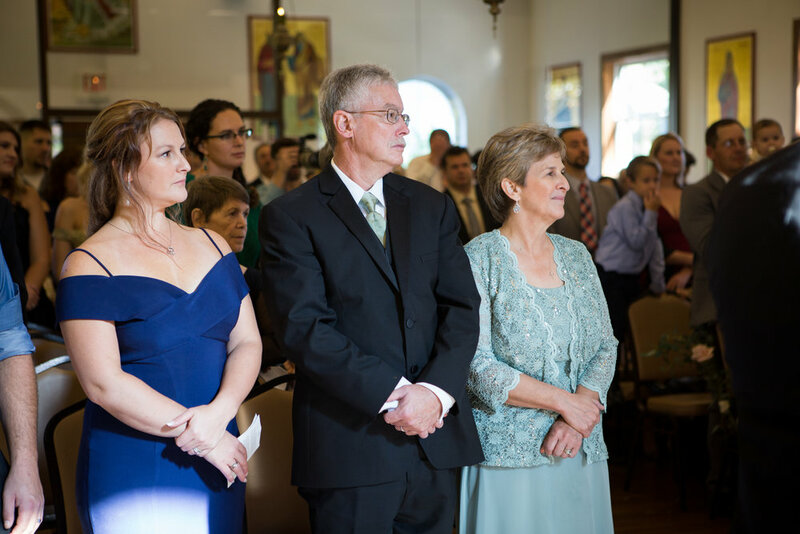 Lastly, Georgia led her family onto the dance floor for the traditional Greek Dance. The DJ took a break while the band played for the traditional dance. Georgia's family followed her and Michael around the dance floor. More and more family members joined as the dance went on. 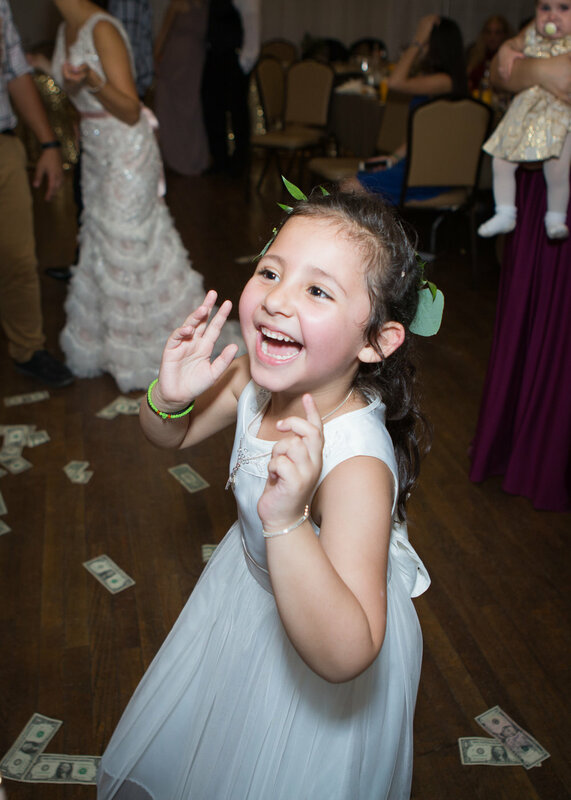 Georgia's god-father and god-brother tossed money among the dancers, her father followed suit. The entire room was clapping and cheering as different family members led the dance. The dance went on for over an hour! But no one faltered, in fact, it seemed that people grew more energetic! During the last part of the dance they invited everyone to the dance floor to participate. It was such a great time for everyone involved! 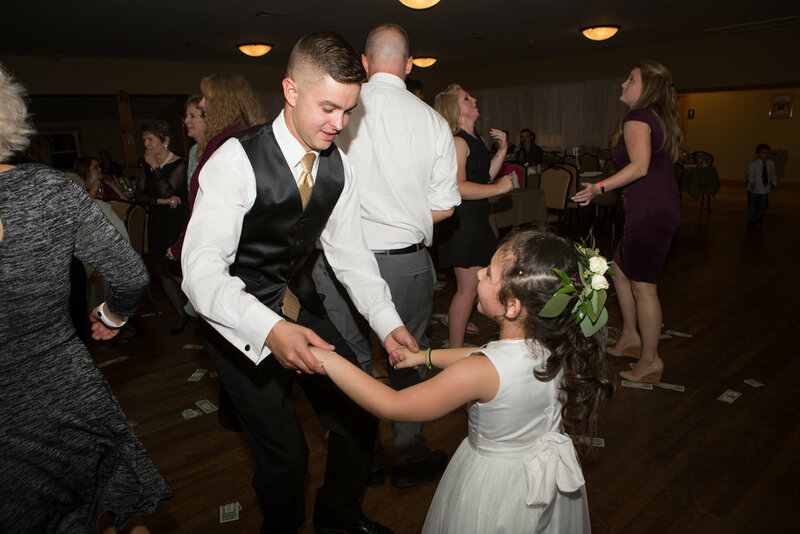 Once the traditional and specialty dances were complete guests hit the dance floor for dancing of their own accord! The families were combined and enjoying one another in celebration of Georgia and Michael. It was a party that lasted for hours! Thank you so much for including us in your fantastic day! We cannot express how much fun we had, how much we adored your families, all the knowledge we gained about your culture & most importantly the love inspiration you both shared with us. 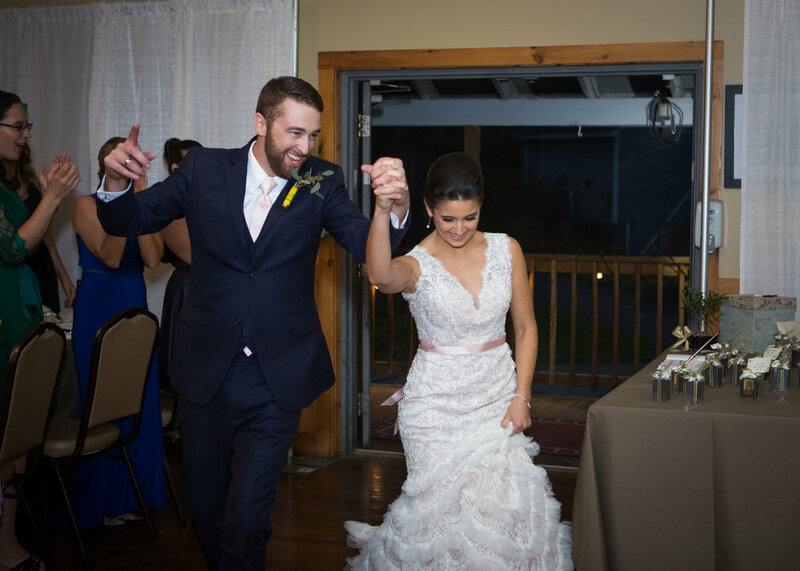 From the bottom of our hearts, we appreciate the photo journey shared with you both and wish you a lifetime of laughter, admiration for one another, and fun! We encourage you to always cherish your wedding photos and each other.